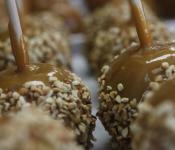 Estes Park has long been known for the delectable confections found along Elkhorn Avenue. Out signature sweets include the childhood classics along with some modern twists. You'll want to get some for the road as well, giving a sweet piece of Estes Park to someone back home or re-living a favorite tasty moment.